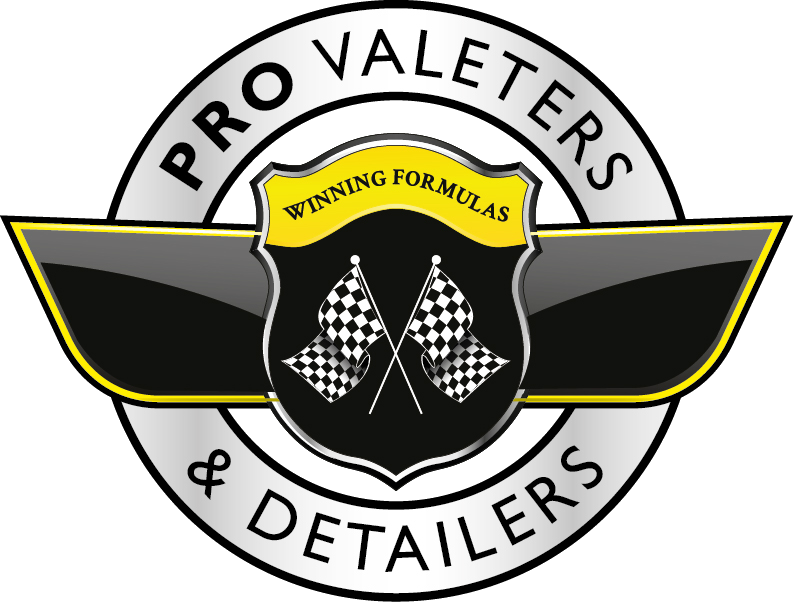 Professional Valeters & Detailers was founded in 2012 with a mission to create a professional body to support an otherwise unregulated industry. Over the last six years we have grown and developed. We now number well over three-hundred members UK-wide, along with dozens of supporters. Thanks to hundreds of thousands spent on promotion and advertising, along with our own in-house magazine, we have a recognised brand. We have also expanded internationally, working with our counterparts in the Netherlands (FOCWA) and Germany (BFA) along with the International Detailing Association (IDA) based in the United States. We have also recently introduced a comprehensive training and assessment program to ensure our members can keep their skills up to date. Below are some membership benefits - there is so much to be gained for very little outlay. All members get listed in this online web directory. The website gets an average of 250 unique visitors daily, and we are always adding content to ensure the site remains current and interesting. Our social networks are also very active - we have over 20,000 followers on Facebook, over 10,000 followers on Twitter, and thousands more across other networks such as Instagram and Google+. We endeavour to share and re-tweet all appropriate posts made by members, thus acting like a megaphone, broadcasting your work to a much larger audience. We also proactively develop mutually beneficial relationships with car clubs and other motoring organisations in order to spread the word through magazines, online forums, and live events. We optimise your profile for the search engines, making it easier for customers to find you online. At first we will identify suitable search terms - for example: 'Mobile Car Valeting Liverpool' - this is what we call your primary search term. We then explore secondary terms such as 'car detailing Liverpool' and 'Paint Correction Liverpool'. Once we have established a full compliment of criteria, we then build them into your profile. We almost always get on the first page of Google, often beating much larger tradesmen directories. For those in smaller towns we quite often get into the top three of the organic search results - which has the added benefit of bringing your own website up the rankings. Since our launch in 2012 we have continually promoted the benefits of using PVD-approved car care professionals to the public. To date, over £100,000 has been invested purely into print and online advertising, and with the growing popularity of our magazine, the PVD logo and what it stands is now a familiar sight for many car enthusiasts throughout the UK. While many manufacturers offer training and accreditation, the courses and assessments made available to PVD members are not only entirely manufacturer-independent, but also highly developed through peer-review. We have also worked with our international counterparts to further refine and evolve the assessment system, which has result in a syllabus that is both up to date and all-encompassing. We are not aware of another assessment as challenging or far-reaching as our Detailer Certification. Find out more about what it takes to be Certified in the Accreditation section HERE. With over 300 members, our combined experience is in excess of 2,000 years. We operate an online forum exclusively for our members and supporters where questions are asked and answered on an hourly basis. As a car care professional it is highly likely you will come across challenges - be these technical difficulties or business-related. The chances are that other members have come across similar challenges and have worked through them already - and most are more than happy to help you. Should a challenge emerge that no member has yet faced, you have an experienced and wise sounding-board that will help you navigate to a solution. As a member you not only benefit from our knowledge-base, you also get to contribute to it - an association is only as strong as its members - thus the investment goes two ways. This inherently builds a sense of community that has helped many an individual through tough times and difficult decisions. As a community, PVD allows you to make strong business relationships with other professionals in our industry, which can otherwise be quite isolating in nature. Over the years we have worked with a vast array of companies, as have our members - our combined list of contacts is quite staggering. So whether it is a pressure-washer repair company or a media consultant, the chances are we will be able to help. Even the most respected and experienced detailers never stop learning. At PVD we believe that continuing professional development is an essential component to any career in the car care industry. We work closely with manufacturers and other industry professionals to facilitate many opportunities for members to regularly develop and update their skill set as new products, methodologies, and technologies become available. Many manufacturer choose to work with PVD as a vehicle to not only release their latest products, but also to develop them. As a member you get various chances to test and evaluate new products well before they become publically available. Some of our members now work with manufacturers on a regular basis in symbiotic relationships. For more information on the various training sources available - from technical skills to business development, please see our training section HERE. Membership of PVD grants access to a vast range of discounts on products, equipment, and services. These discounts range from ten percent to over thirty percent, and when used efficiently, can save members hundreds of pounds every year. Between the various manufacturers, distributors, and resellers we have created discounts on over one-hundred different brands. For more information on specific discounts, please see the supporter section of the website HERE. The cost of membership is a legitimate business expense that can be set against taxable income. Membership is inclusive of VAT, thus those who are registered for VAT can reclaim 20% - please contact us for quarterly VAT receipts. Members are also entitled to various products and services we offer in house - many of these are exclusive to members and provided at subsidised prices. Whether you are after a custom designed paper floor mat, advice on website SEO, or a reliable covered transport company - we can usually assist. We are constantly adding to the list of discounts on behalf of the members. This is often done in response to member requests - if there is something you are looking at, the chances are that it may well be useful for other members. We can contact suppliers directly and use our collective buying power to help negotiate discounts in excess of what a single business could. As a manufacturer-independent and respected professional body, we are often approached by media organisations to assist them. This can range from offering expert advice for a topical article in a car magazine, judging a concours, right up to appearing on television and online videos. While membership is certainly not a guarantee of Hollywood fame, it does open doors that would otherwise require an in-house publicist to create. Thanks to our trusted status and national reach, PVD is often asked to provide car care services on behalf of other companies at live events. We also work with car care manufacturers wishing to provide services in conjunction with their products at specific events. We started the PVD Pro Detailer magazine in 2015 and it has proved a great success - each issue sells thousands of copies all over the world. All the content is put together by PVD members and supporters, so it is a great opportunity to get your brand out there.